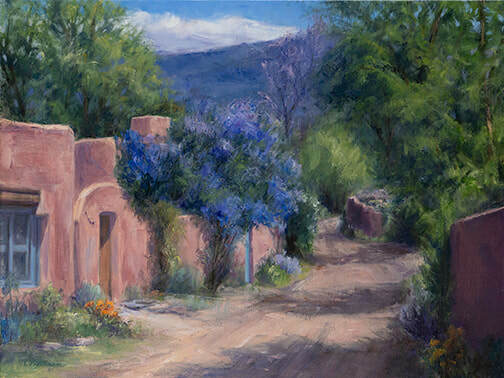 Linda Petersen has lived in Santa Fe since 2001. 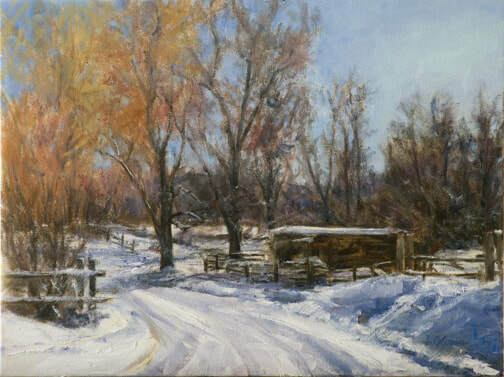 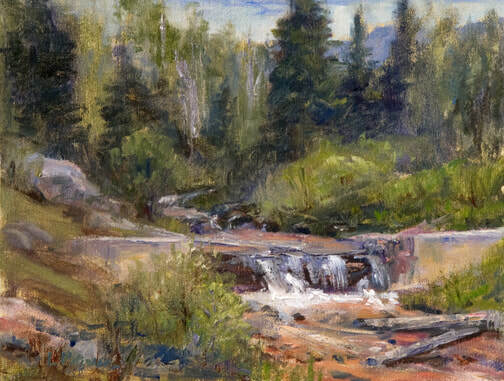 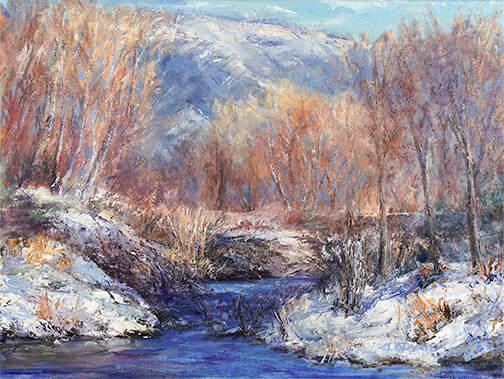 She came to this area to do plein air painting after studying in Denver and spending two summers painting in Italy. 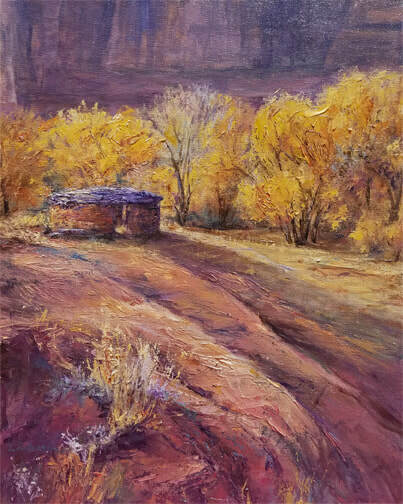 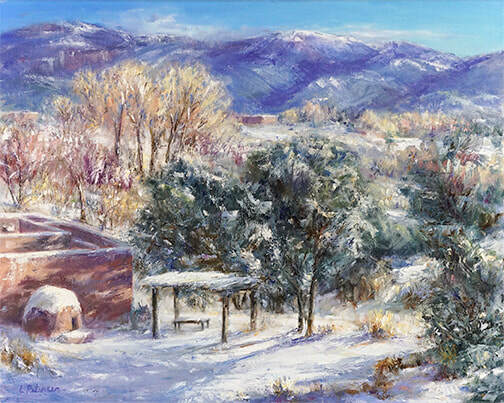 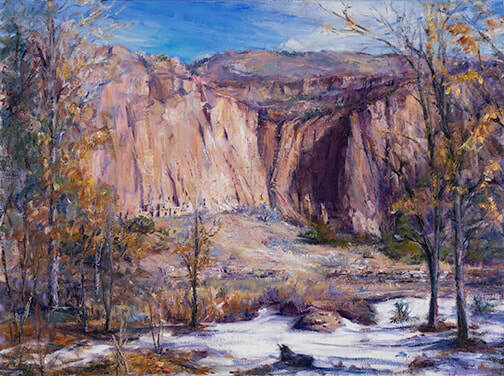 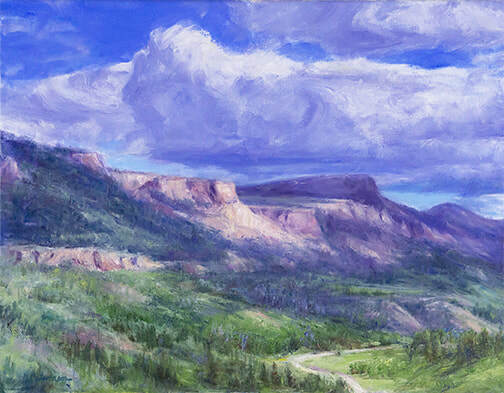 Drawn to this area by a fascination with the vivid contrasts and unique landforms and colors of the Southwest, she has painted a diverse series of oils showing the drama and beauty of the area. 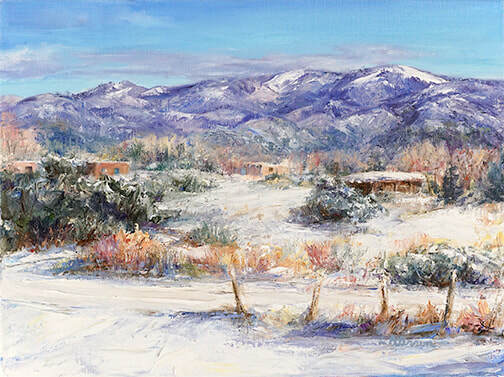 She is a traditional landscape painter and her subjects include the red rocks of Ghost Ranch, lavender fields in summer, arroyos and adobes.